Dance in Devon and the International Agatha Christie Festival invite young and old to come together in Torbay to create a new dance piece for the festival, with choreographer Richard Chappell. 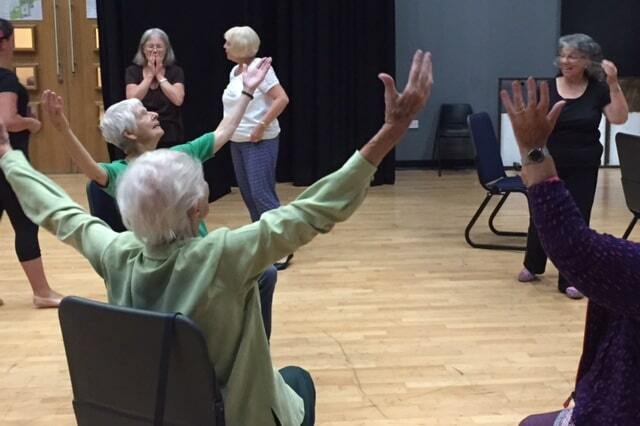 Each with a story to share, dancers from Torbay between the ages of 12 – 96 have been working together with Richard Chappell to create an inter-generational dance performance to celebrate dance, movement and stories. The choreography will be shared at a special tea dance as part of the International Agatha Christie Festival on Sunday 17th September 2017. Newcomers and old-hands are invited to discover and try out a range of social dances. All ages, dance interests and abilities welcome! For more information about the tea dance please visit the event page here.